Dougherty, Mary C (Bonnie). (November 24, 2018). Beloved mother to Teresa (Michael), Krista Deasy, Beth (David) Veneziale, and the late Melanie Deasy. Grandmother of Teresa, Katelyn, Aiden, Samantha, Zavier and great grandmother of Christopher and Michael. 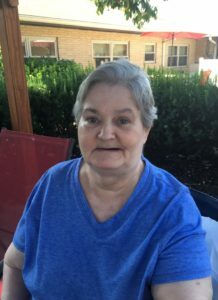 She will also be missed by her brothers and sisters Charles Tomkins, Charlene McGee, Steven Tomkins, Doreen Durkin, Megan Tomkins, Scott Tomkins, and the late Gary Tomkins, Maureen Tomkins and Kevin Tomkins. Relatives and friends are invited to Mary’s Memorial Service Friday November 30, 2018 at 2:30pm, PennyPack Nursing Home 8015 Lawndale St., Philadelphia, PA 19115. In lieu of flowers, donations in Mary’s name may be made to the PennyPack Nursing home.